What way to better celebrate an Interfaith marriage than with a Ketubah with a world map? After all, the whole core of an Interfaith is love and acceptance — not just in marriage, but throughout the whole world. 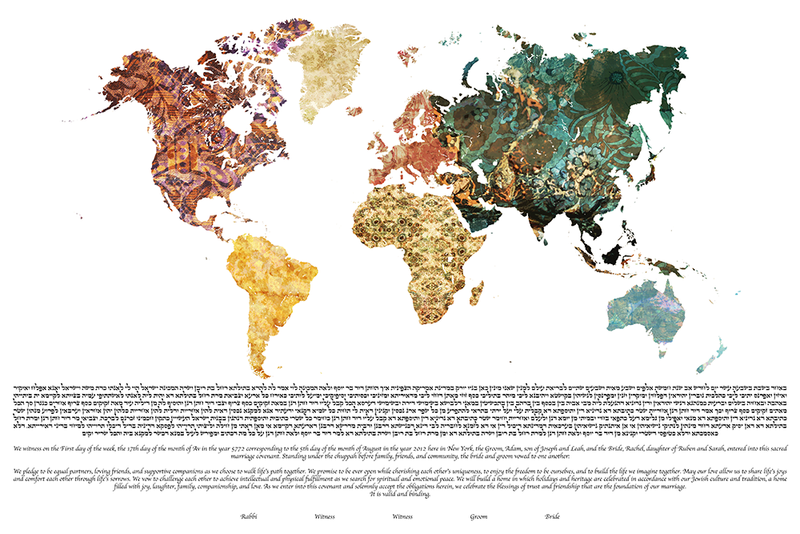 We love this Ketubah from TINAK — the sprawling world map with different textures and colors stunningly highlights the beauty of diversity. This Ketubah beautifully captures the diversity and unity of marriage, especially one that is Interfaith!